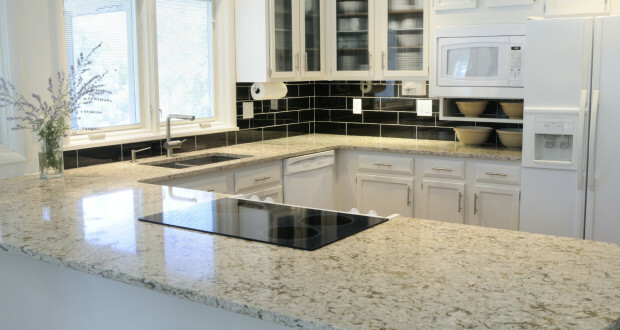 A clean, sparsely decorated kitchen is key to selling your home quickly. When you’re selling your home, you have to be prepared for that call at any time from a Realtor with a potential buyer in their car, wanting to stop by in 15 minutes for a tour. Every time you say “let’s schedule something for tomorrow”, you’re giving up a red-hot lead that specifically picked your house as one they wanted to see. If you put them off, odds are you won’t hear from them again because there are plenty of houses on the market ready to see that very day. When you leave for work everyday, make sure everything is tidy and ready for immediate showing. For those times when you’re at home, make sure you have practiced a 5-minute drill on tidying up, and be prepared to disappear for a bit for the Realtor to show the house. And never stay while a potential buyer is viewing your house. It makes buyers uneasy! Remove as many personal touches as possible, especially family photographs. It may seem hard to go without your comfort items, but put yourself in the buyer’s shoes. They want to visualize their own family in that space. Your personal items are an obstacle to that visualization. In addition to your photographs, any specialized decorations, like college affiliations (such as Roll Tide or War Eagle memorabilia), specialized hobby areas, or “funky” decoration choices need to be removed when selling your home. Think of the fun you’re going to have personalizing your next space, rather than marking your territory in the one your trying to get rid of. This is really a two-for-one tip! Lighten up means pack up as much as you can and store the rest. (And no, storing it in the garage doesn’t count!) Get your closets, even your bedroom closets, down to the barest essentials of what you need while you’re living there. Off season clothing, rarely used items… they all need to be moved out to make the space feel bigger. The second part of this tip, brighten up, means to make sure everything is well lit. Put the brightest allowable bulbs in your fixtures (check the rating on your fixtures… I’m not suggesting you create a fire hazard), and leave the lights on when you know a Realtor is bringing a prospective buyer. 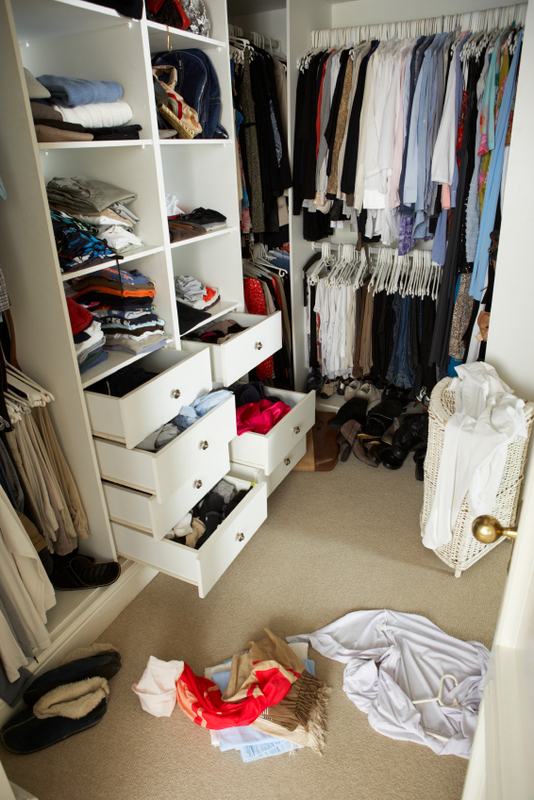 An untidy closet with too many personal belongings still visible will hamper you from selling your home. 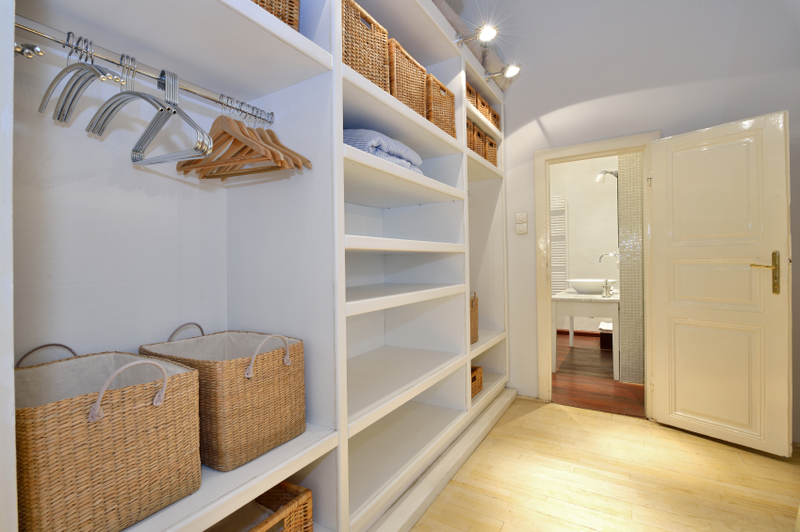 When selling your home, minimize closet content to make the space feel larger. Using the brightest lights rated for your fixtures make everything look cleaner and more inviting. And hide personal content in attractive storage. Curb appeal matters, so take care of the lawn and shrubs while your house is on the market. Fresh flowers, a flag flowing, a small bench with plant… all of these can make the walk up to the door more welcoming. Make sure that the first thing they see upon entering is a bright, tidy area, free of odors (especially pet odors). 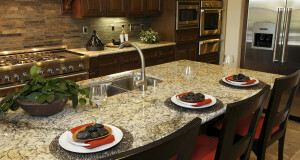 The first place most potential buyers will want to see is the kitchen. You’ll hear many real estate agents say “you’re not selling a house, you’re selling a kitchen with a house around it.” This is very true. So make sure the kitchen is as clean as it can be. This includes the refrigerator, even if it doesn’t stay with the house. ( Everyone… I repeat, everyone… opens the refrigerator.) And remove as much clutter and personalized decorations as possible in the kitchen area. Housing prices across the country have been in a high state of flux for the last 10 years, and the Huntsville housing market is no exception. You can not determine your home’s selling price based on what you paid for it. The value of any house depends on what the market will bear. 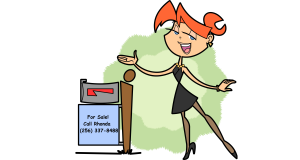 Use up-to-date data from the most recent sales in your neighborhood to determine the sales price. Work with your Realtor to determine a selling price that will both get your house sold quickly and maximize your return. Price isn’t everything, but it’s a huge determination in how quickly you can sell your house. Undercut the competition, even by a small amount, if you need to sell your house quickly.